I hope you will leave the old design to be available as well. Yes Please keep the old summary page accessible, it’s much more efficient. Bravo on the new design! It looks fantastic and it’s so refreshing! Congratulations to everyone involved in making this happen. New logo is great too! but it’s also ugly. How about a version for adults using a desktop pc? There should be an option to switch back at the bottom of the summary stats page. The new design is a little more spaced out than the old design. We wanted to get away from the “claustrophobic” feel that some of the old pages had. We hope you’ll try the new design from time to time. We’ve got many more improvements planned for it. This is just the start. At least can we have a summary page that takes up similar space to the old front page summary?! I don’t really care what you do with the detail pages, but several times a day I go through my summary page, and this is going to take forever. The old one was not claustrophobic. The new one is massive and, on my desktop, takes far too much room to display. It’s a lot more than ‘a little spaced out’. It’s requiring me to take up vastly more space for StatCounter than before, even zooming out. I’m with Casey on this one. Thanks very much for still giving the option to use the old layout, it’s much appreciated! I have never understood the modern site designs that inefficiently waste so much screen space, now I do! Claustrophobic? I never would have guessed that! One idea could be to have a “compact” layout link/button, like gmail and such. Totally agree! I also check my summary page throughout the day and was perfectly happy with the smaller format, everything at a glance without scrolling. I can only think your designers never ever use statistics for their own websites. 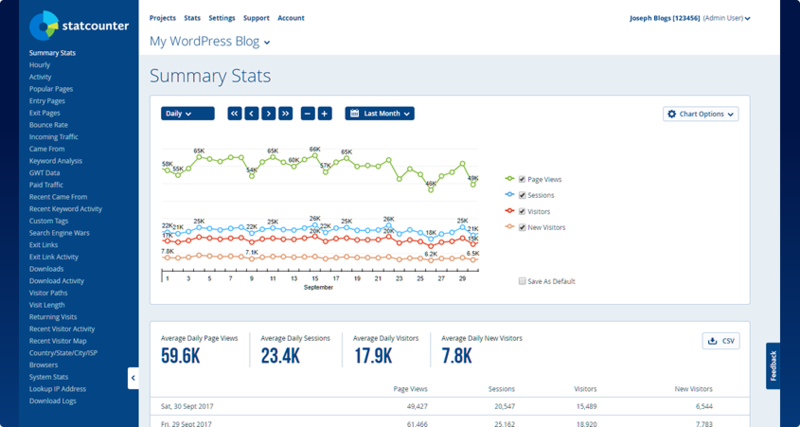 Statistics is NOT about design – the emphasis is on functionality – being able to use the site in an efficient and effective way. The minute you start making it more difficult to get an “at a glance” review of what’s going on you’ve got another person making their way back to Google Analytics. Have you taken a look at how much summary information they get on to their dashboard in a confined space recently? really really fresh UI 🙂 thanks for statcounter team work! Looking good! 👏🏾 Best website analytics besides GoogleAnalytics.💡One suggestion I have is to allow for realtime updates/functionality and make it optional. 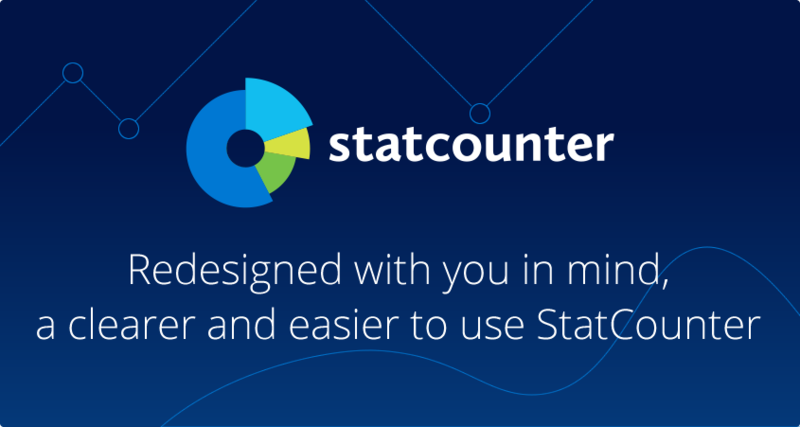 Would love to have a statcounter screen up all day! with clean aesthetics. Well done! Good design. I like it. The new design is pretty neat. I’ve been using it for a while and I just can’t go back to the previous design.